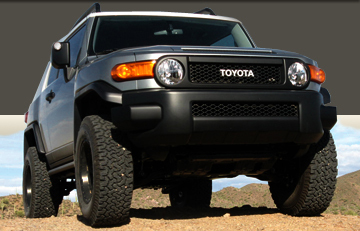 Vehicle Info: 2008 Fj trail team edition. Signature: How did they know my truck was dusty?? Extra Info: 33 year old guy who likes the mentioned above. Sarcastic, easy going and wanting to learn about and off road my FJ. Classifieds » Rigid Industries 30 inch light bar... Sold Sold Sold..
General Discussion » Suspension lift install pricing? 4x4 Tech » Question answered. 4x4 Tech » AFE intake question? General Discussion » MeteoR showeR! General Discussion » Humm.. lol..
4x4 Tech » Need motor mounts replaced?